After Prohibition ended in 1933, many states passed laws regulating the sale of alcoholic beverages, now known as Franchise Termination Laws. Ostensibly intended to protect wholesalers from shady suppliers, and the public from the harmful effects of alcohol, these laws in fact created government-protected monopolies. In Strange Brew, one of the first studies of this topic, economist Douglas Glen Whitman subjects these laws to critical scrutiny. Strange Brew demonstrates that the monopoly protection laws in the alcoholic beverage industry reflect powerful special interests in the political process who use such measures to restrict markets, shield themselves from competition and consumer preferences, and set higher prices with relative impunity. It also shows how the notion that alcohol consumption is a sin in need of legal restraint substitutes the choices and moral judgment of politicians for that of consumers. The 21st Amendment to the U.S. Constitution ended Prohibition, but it set the stage for extensive intervention at both the federal and state level. These laws make the alcoholic beverage industry one of the most regulated (and monopolistic in key respects) in the American economymuch to detriment of consumer welfare. The structure of the alcoholic beverage industry has been distorted by the Federal Alcohol Administration Act (1935) and various state-level regulations, which prohibit vertical integration. The resulting three-tier structure (comprised of separate suppliers, wholesalers, and retailers) has led to a large role played by wholesalers and to higher prices paid by consumers. Franchise termination laws make it very difficult for alcoholic beverage suppliers to terminate their contracts with wholesalers, thereby protecting wholesalers from competition and giving them monopoly-like powers to raise prices. Beverage wholesalers markups routinely account for 18 to 25 percent of the price of wine and 15 to 25 percent of the price of liquor -- percentages that exceed the typical markup in other industries. In the absence of franchise termination laws, alcohol beverage suppliers would likely impose contractual obligations that would bar wholesalers from setting excessive markups. But because these laws have created a powerful lobby of wholesalers, abolishing them by legislation is problematic. Franchise termination laws have been implemented in every U.S. state for beer and in 20 states for wine and distilled spirits. Over-consumption of alcohol can impose costs on society at large (e.g., traffic accidents), but the social costs of over-consumption have been exaggerated. For example, reduced worker productivity due to excessive drinking results in loss of income mainly to the worker, not to society at large. Also, increased medical costs paid by excessive drinkers are private, not social, costs. Costs paid by insurance companies are also private costs and result in higher premiums paid by the insured. To count such costs again as a form of social cost is to engage in double counting. Special taxes on alcohol contribute strongly to higher prices. Federal and state excise taxes combined constitute 34 percent of the purchase price on a typical bottle of distilled spirits (and somewhat less for wine and beer because their tax rate is lower). The average tax rate per gallon of pure alcohol is about 25 percent of the price per gallon -- roughly $35. No sooner had the 21st Amendment repealed Prohibition than government erected a regulatory labyrinth for the production and distribution of alcohol. 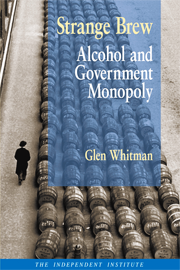 Among the most important interventions have been franchise termination laws, the subject of Douglas Glen Whitmans STRANGE BREW: Alcohol And Government Monopoly -- the first book to examine the powerful effects of these arcane yet ubiquitous regulations. Franchise termination laws make it difficult for alcoholic suppliers to terminate their contracts with beverage wholesalers. As a result, Whitman explains, these laws have turned wholesalers into virtual monopolies, sheltering them from competition and consumer demands and allowing them to charge higher prices with relative impunity. After presenting a thorough economic analysis of the effects of franchise termination laws, Whitman considers the ethical position that alcohol consumption is a sin that warrants legislative action. This viewpoint, Whitman argues, has led directly to the substitution of consumers choices and moral judgment with that of politicians. Some commentators have blamed the perceived shortcomings of the pre-Prohibition alcohol industry on vertical integration of the industry. Before Prohibition, alcohol suppliers that held a partial interest in a retailer sometimes acted aggressively to ensure that the retailer sold only their brand. (Such arrangements were called tied houses.) To thwart perceived abuses associated with these marketing practices, the Federal Alcohol Administration Act (1935) barred suppliers from partly owning a retailer (outright ownership was still allowed), even though such practices were common in other industries. In addition, almost every state in the union has taken steps to create a three-tier distribution system consisting of separate suppliers (brewers, vintners, and importers), wholesalers (distributors), and retailers (liquor stores, restaurants). Almost every alcoholic beverage must pass through the hands of wholesalers because suppliers typically are barred from dealing with retailers directly. In addition to expanding the role (and profits) of wholesalers, the three-tier system has led to higher prices, reduced output, and reduced consumer welfare. Unsurprisingly, wholesalers have been energetic lobbyists for the perpetuation of franchise termination laws. The proponents of franchise termination laws argue that they are necessary to prevent suppliers from taking undue advantage of wholesalers. A wholesaler must make up-front and ongoing investments to build its business; it runs the risk of losing its investment if a supplier terminates its contract in favor of a competitor who might be willing to accept less-desirable terms (e.g., a larger initial or higher price per case of beer). A supplier could use the threat of finding a new wholesaler to strong-arm price concessions from the current supplier. However, a study of thirteen franchise industries did not find strong evidence of such opportunism by suppliers. Apparently, suppliers did not want to develop reputations that would reduce their attractiveness to potential franchisees. Further, in the alcoholic beverage industry, each suppliers brand constitutes only a fraction of the wholesalers products, thereby limiting the wholesalers exposure to opportunistic behavior by a single supplier. The problem that franchise termination laws were intended to remedy is minimal, but the problems they create are significant. Franchise termination laws reduce consumer welfare because they exacerbate the double markup problem that results from the industrys lack of vertical integration. Consumers pay more and buy less because two groups of decision-making entities -- suppliers and wholesalers -- add a markup to their costs instead of one vertically integrated entity. Suppliers would like to prevent this problem because markups by wholesalers reduce the quantity purchased by consumers and thereby reduce the suppliers revenue. The usual solution would be for suppliers to impose contractual obligations on wholesalers, such as allowing the supplier to determine maximum resale prices or to specify a minimum sales quota for the wholesaler. However, franchise termination laws make it difficult for a supplier to sever its relationship with a wholesaler and thus short-circuit the contractual solution to the double markup problem. 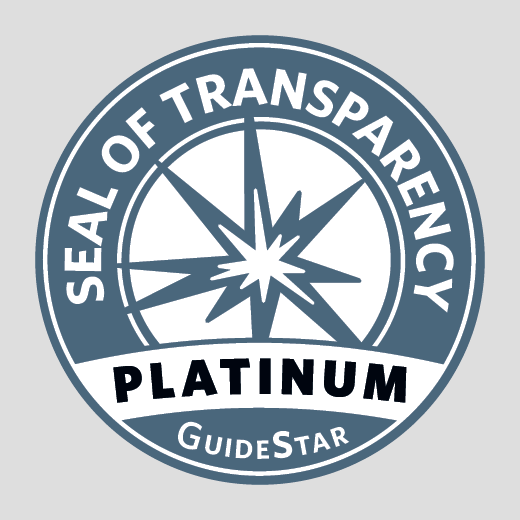 Not only do suppliers lack the ability to terminate their relationships with wholesalers (unless they are prepared to demonstrate good cause), in many states they are required to grant exclusive territories to wholesalers. This can have mixed effects. On the one hand, territorial exclusivity gives wholesalers incentives to promote the product without incurring the risk that local competitors would reap some of the benefits. On the other hand, territorial exclusivity can lead to higher prices and reduced consumer welfare when consumers lack affordable substitutes. Are territorial arrangements, on net, good or bad for consumers? Territorial arrangements harm consumer welfare if they lead to a decrease in the quantity of purchases. However, a study of 48 states from 1983 to 1992 showed that exclusive territory arrangements (whether mandatory or contractual) increased consumption by between 3 and 11 percent, suggesting that they may have contributed to consumer welfare. Until 1977, exclusive territories were illegal under federal law unless they were mandated by state law. Their current legal status is somewhat ambiguous. In todays antitrust environment, alcohol suppliers might be able to get away with establishing exclusive territories by contract. But without state laws mandating exclusive territories, there remains the possibility that federal antitrust authorities will punish those suppliers who use them. Consumer welfare would likely be enhanced if suppliers were free to offer exclusive territories with out the threat of antitrust actions. Some advocates of monopoly protection laws in the alcoholic beverage industry argue that such laws help protect consumers from themselves and each other. STRANGE BREW questions the basis of such arguments. Whitman notes that some pro-regulation arguments rely on contradictory premises. One can not simultaneously claim that that regulation of the alcohol industry is good because it lowers prices and also because it raises prices! Whitman notes. Douglas Glen Whitman is Research Fellow at The Independent Institute and Assistant Professor of Economics at California State University at Northridge. He received his Ph.D. in economics from New York University and has taught at the John Jay College of Criminal Justice and the Institute for Humane Studies at George Mason University. His research areas of specialty include applied microeconomics, economic analysis of law, and game theory. Professor Whitman is a trustee of the American Parliamentary Debate Association, and his articles have appeared in such scholarly journals as Journal of Legal Studies, Critical Review, and Constitutional Political Economy.